Leo Szilard, the son of a Jewish civil engineer, was born in Budapest, Hungary, in 1898. In the First World War he fought in the the Austro-Hungarian Army. In 1919 he began studyingelectrical engineering and physics in Budapest before moving to Berlin to study under Albert Einstein, Max Planck and Max von Laue. In 1923 he began carrying out x-ray diffraction experiments at Kaiser-Wilhelm Institute for Chemistry. The following year he became Laue's assistant at the Institute for Theoretical Physics in Berlin. Szilard was appointed a lecturer in physics in 1929. He also worked with Albert Einstein and they eventually developed a home refrigerator without moving parts. Szilard became friends with H.G. Wells and they discussed the possibility of establishing an international movement of progressive intellectuals. When Adolf Hitler gained power in 1933 Szilard left Nazi Germany and moved to England. The following year he published his views on the possibility of achieving neutron chain reaction. Although his ideas were rejected by Ernest Rutherford, he began his experiments at St. Bartholomew's Hospital and in 1934 developed a method of artificially producing radioactive isotopes. In 1938 he emigrated to the United States where he taught nuclear physics at Columbia University. Soon afterwards Szilard heard about the research being carried out by Otto Hahn and Fritz Strassmann at the Kaiser Wilhelm Institute for Chemistry in Germany that appeared to show that the uranium nuclei could be split when bombarded with neutrons. He also read and article by Otto Frisch and Lise Meitner, explaining the theory of uranium fission. In the paper they argued that by splitting the atom it was possible to use a few pounds of uranium to create the explosive and destructive power of many thousands of pounds of dynamite. Szilard contacted Albert Einstein about these developments. On 2nd August, 1939, Szilard, Einstein, and another Jewish scientist, Eugene Wigner, wrote a joint letter to President Franklin D. Roosevelt, about the developments that had been taking place in nuclear physics. They warned Roosevelt that scientists in Germany were working on the possibility of using uranium to produce nuclear weapons. In 1942 Szilard and Enrico Fermi began building the first fission reactor in Chicago. The following year Szilard joined the Manhattan Project. Over the next two years he worked with Robert Oppenheimer, Edward Teller, Otto Frisch, Felix Bloch, Enrico Fermi, David Bohm, James Chadwick, James Franck, Emilio Segre, Niels Bohr, Eugene Wigner and Klaus Fuchs in developing the atom bomb. In 1945 Szilard and James Franck circulated a petition among the Manhattan Project scientists opposing the use of the atomic bomb on moral grounds. However, the advice was ignored by Harry S. Truman and the bombs were dropped on Hiroshima and Nagasaki. After the war Szilard became a leading campaigner in favour of international control of nuclear weapons. In 1947 he wrote Letter to Stalin, proposing methods for reducing tensions between the United States and the Soviet Union. In 1955 Szilard and James Franck registered a patent on a nuclear reactor. The following year he became professor of biophysics at Enrico Fermi Institute for Nuclear Studies in Chicago. Szilard helped organize the first of the Pugwash conferences in 1957. These conferences enabled top scientists from all countries to discuss peace and world security. In 1962 Szilard founded the Council for Abolishing War. He also published a book on the misuse of scientific knowledge entitled The Voice of Dolphins (1961). 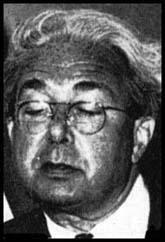 Leo Szilard died in La Jolla, California, on 30th May, 1964. (1) During the Second World War the United States government became worried about the activities of foreign scientists with left-wing political views, living in the United States. On 1st November, 1940, Albert Einstein was interviewed by the Federal Bureau of Investigations. Professor Albert Einstein was contacted at his home 112 Mercer Street, and he advised that he has known Leo Szilard since about the year 1920. He said that he believes Szilard is a little over 30 years of age and was born in Hungary of Jewish parents. Professor Einstein advised that he did not know anything about Szilard's relatives as he only knew him from a scientific point of view. He further advised that Leo Szilard was probably educated in Budapest, Hungary but that later in life he had spent most of his time in Berlin, Germany. He also stated that Szilard had left Germany about the year 1933 and that he had spent sometime in England, although he, Einstein, could not recall whether Szilard had been in England prior to or after the year 1933. Professor Einstein further related that Szilard had made several trips to the United States in recent years. He advised that Szilard, while in Berlin, had been assistant to Professor Max von Laue at the University of Berlin. He said that Professor Laue was a very decent man and that he is the only German he knows who behaved in an admirable way after Hitler's advent to power. Professor Einstein continued that at the time Szilard was at the University of Berlin he himself was at the Academy of Music in Berlin and he saw Szilard every day for many years. He said that he did not believe that Szilard had ever become a German citizen, although he was not positive of this. He went on to say that Szilard had left Germany about the year 1933 and that he believes Szilard went to England and visited America on several occasions. He advised that at the present time Szilard is connected in some manner with Columbia University in New York City, where he is working on uranium experiments for military purposes. He stated that this work is on a private scale but that it is financed by the University. He said that Szilard is working with an Italian by the name of Fermi, who is a very trustworthy man. Professor Einstein said that he sees Szilard quite frequently as Szilard visits him to inform him as to his work on the uranium experiment. He said that the last time he had seen Szilard was a week or ten days ago, at which time Szilard had visited him, together with Professor Eugene Wigner, of Princeton University. Professor Einstein advised that Szilard is a theoretical physicist. He stated that Szilard is a very idealistic man who is not at all politically minded. He stated that he had never been connected with any organizations, societies, or political groups abroad. He said that Szilard is a very fine, gifted young man; that he is absolutely honest, reliable, and trustworthy, and that he would recommend him very highly to the United States Government. Professor Einstein stated that he would recommend Szilard without any hesitation and that he would assume any responsibility for his conduct. He said that Szilard is as anti-Nazi as he himself is and that Szilard is an outspoken Democrat. He further advised that he believed the U.S. Government could trust Szilard in any respect without any fear whatever that Szilard might disclose confidential information to a foreign power. restaurants, walks a great deal when he cannot secure a taxi, usually is shaved in a barber shop, speaks occasionally in a foreign tongue, and associates mostly with people of Jewish extraction. He is inclined to be rather absent minded and eccentric, and will start out a door, turn around and come back .